As the name suggests, the main aim of prep schools is to prepare pupils for entry to private secondary schools at either 11 or 13. Traditionally, pre-preps take children from age 3 or 4 and prepare them to move to a prep school at age 7 or 8 (usually school year 3 or 4). Many pre-preps and preps are seamlessly linked schools with a guaranteed transition between them. As always, London dances to its own beat and whereas in the countryside it’s a case of putting little Harry or Harriet’s name down and just writing a cheque at your leisure, competition for places at 7+ and 8+ in London’s top prep schools can be fiercely competitive. The raison d’etre of London pre-prep schools is to prepare children for these competitive entrance exams which means the pressure can start as early as year 1 with practice papers. Some, whilst having linked prep schools, also send large numbers of children elsewhere. Why go through the stress of exams at 7+? Well, some of the top preps such as Westminster Under or St Paul’s Juniors don’t start until year 3 when they say they can properly assess the potential of a child through the 7+ exam. Think carefully about whether or not you want to put your child through this process at such a tender age or whether it might be better to choose a school where you can choose whether to leave or stay at 7 to avoid undue stress. In recent years as many as 40 per cent to Westminster Under or St Paul’s Juniors. Increasing numbers, currently 40 per cent, to Wetherby Prep, where entrance is automatic and the standards are rising, so why go through the stress of exams? Extract from the Good Schools Guide review of Wetherby School. How do I choose a prep school? More importantly, how do you select the best prep school for your child? Prep schools stand or fall by their senior school destinations. Whether parents are aiming to get their 3 or 4 year old into the pre-prep of a chosen all-through school, or their 8 year old into a prep school that feeds top day and boarding schools, they are generally thinking several years ahead. However, all-through selective schools rarely guarantee that the pupils they accept into reception will move seamlessly into the secondary school. If they do not think your child will keep up, they will advise you – usually in year 5 – to start looking elsewhere. A school that helps your child to become a confident and happy learner is always the best investment – it’s not a one size fits all decision – and pastoral care should be at the top of any parent’s list. As well as academic rigour, look for inclusive offerings across the arts, music, sport and co-curricular, and make sure your child will be able to access all opportunities, regardless of natural ability. Over 600 fixtures a year on the sporting calendar with ‘opportunities for all’ and A to D or sometimes E teams fielded most weeks. ‘Being in the A team is really played down’, said one parent, ‘to encourage kindness’. The Good Schools Guide has reviews of hundreds of the best prep schools up and down the country to help you make the right choice for your child. One of the benefits of a good prep school is the range of after school activities and many also have breakfast clubs – a bonus for working parents. London prep schools, whilst bursting at the seams, are often not for the faint of heart and have fearsome reputations for preparing children for entry to top academic schools through a ferocious diet of revision, tests and extension work. This may suit a bright, robust and compliant child but may cause others to flounder. This is a school that offers boys with high academic potential a dazzling start in life. Most leave not only with great academic results, but excellent general knowledge, huge intellectual curiosity and an appreciation of all things cultural. Myths abound that these are boffins that are hothoused, but in fact we found they are boys with a great sense of fun and who are highly motivated, genuinely enjoying being stretched. For the right boy, this school is hard to fault, but boys who wind up struggling could feel left out in the drive to achieve. Extract from the Good Schools Guide review of The Hall School, Hampstead. With a few exceptions, outside of London places are in greater supply and competition for places less fierce. Country preps ensure they have broad horizons and a lot of fun alongside academia. They tend to concentrate on extending childhood - providing a varied diet of music, drama, art, sports, hobbies, interests and trips as well as exam preparation. Many boast extensive grounds, sports halls, shooting ranges, swimming pools, croquet lawns, even golf courses. There’s a croquet lawn, used for family tournaments in summer (we were honoured to have last year’s champion as our guide); a carpentry shed where pupils can create, well, anything in their spare time; rowing boats for year 8 leavers to bob around on the lake in summer months; a shooting shed and clay pigeon shooting activity on Sundays. Nowadays the majority of boarding prep schools have adapted to modern family life and offer options of weekly, flexi or full boarding as well as a day school option. There are very few preps left with no day places and most boarders are flexi or go home after matches on Saturdays. Ludgrove and Cothill House both buck the trend as amongst the few full-boarding-only prep schools. No common rooms to speak of, bar a pool room, and no significant evidence of televisions (junior movie nights and major sporting events only are hosted in head’s sitting room) or other passive distractions. Parents report boys roaring around on scooters in their pyjamas before bedtime rather than gluing themselves to screens. And therein lies the magic of the place. Macs and iPads do have a home here but what Cothill really offers is a Swallows and Amazons approach to education. It’s a school where boys can ‘have a childhood,’ say parents. If full boarding is important, ask specific questions about the number of boarders that stay at weekends. Find out how many home and international students they have, ask their ages, and gender; if your daughter is the only 9 year-old girl she may not be overly impressed with your choice. Investigate the type of activities boarders undertake. If you have an active child make sure weekends match and that a full programme of activities is offered, especially for younger children. The occasional trip into town, followed by pizza and watching TV may appeal at first but the novelty quickly wears off if the programme isn't sufficiently varied. Do you like the head, the staff, the atmosphere, the library? Is the school well cared for? Does it smell good? Are the toilets clean and biscuits crunchy? What of the children? Are they friendly, polite, chatty, mannered, smart? Scruffy or sculptured, what matters is, can you imagine your child in amongst the children at the school? Chat to other parents; do you have anything in common? Are there similarities between their children and yours? What about sports, drama, art? Is there something for your child? Are sports and music inclusive, who gets in the teams and bands? What standard are they - is this what you would hope for? Do they stretch the able, help the struggling and recognise these two traits may occur in the one child? What happens when things go wrong? Who is on hand to help, how? Are they caring and nurturing, forgive and forget or strict and unbending? Are they alert to bullying? Ask for instances and find out how bullies and perpetrators are dealt with. How will they communicate with you and when? Are parents welcome, if so when, for what and to do what? If you like what you see, go back for a private visit, meet the head and watch the school at work. Try to get a balanced view: chat to pupils, staff and other parents. Don’t allow the marketing manager to dominate your visit! Ask whether you can attend school on a match day to get a feel for the parent cohort and team spirit of the school. The school confesses they are relaxed about petty issues – untucked shirts, scruffy uniform and clutter – while concentrating on the things that matter, such as learning. Like an upturned swan – feet paddling busily on the surface whilst the underlying systems are serene and quiet. Unconventionality, or ‘colouring outside the lines’, has always been and still is encouraged, although school admits it is ‘a balancing act’ between risk-taking in schoolwork, striving for imagination and curiosity on one side, and discipline and toeing the line on the other. The Dragon aims for and encourages both. Extract from the Good Schools Guide review of Dragon School. 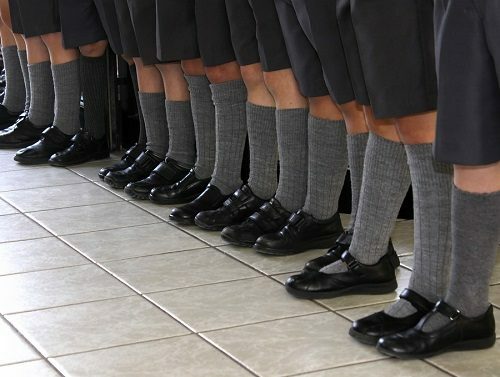 How hard will it be to get my child into our prep school of choice? Entry requirements at 3 or 4 vary considerably from 'first-come, first-served' (which may mean name down at birth) to mini-assessment days complete with interview and observations to see just how well Harriet integrates with her peers and playmates. Few will expect children to read and write on entry but, such is the pressure for places at some pre-preps, particularly in London that, parents have been known to enlist the help of tutors for their 3-year-olds, to get the required head-start. Some heads have equated this to tearing up £20 notes, and in general the play and learning that goes on at home or nursery school should be adequate preparation. NB that during your tour of the school you may well be being judged to see if you will fit in with the parent body. At 7 or 8, nearly every prep school operates a formal assessment process. For a country prep, this may be for setting purposes only, or to ensure the child doesn’t have education needs or behavioural difficulties they cannot accommodate. For many London day schools, the pressure is on. Has 54 places at 7+ and a further 18 at 8+, in classes of 18 boys each. In the January of the proposed entry year, applicants sit the school's bespoke entrance tests in maths, English (combined comprehension, reading and spelling), verbal and non-verbal reasoning. Always sought-after, competition for places is increasing sharply, with applicants from 'literally hundreds of schools'. If 7+ and 8+ are no pushover, entry at 11+, which guarantees a place at St Paul's, starts to resemble the Krypton Factor. Around 400 applicants try for just 36 places. Some preps have an intake at 11+, generally from local state primary schools. Many of these are co-ed preps where most of the girls move on at 11, and which can use the spaces to take in pupils who need help to prepare for 13+ exams. Some prestigious boys’ preps, such as The Hall and Arnold House in north London, offer bursaries to state school boys who join them for the final two or three years with a view to gaining bursaries or scholarships to top public schools. Pupils who gain highly-sought-after 11+ places at the preps of leading boys’ senior schools, such as Westminster Under School and St Paul’s Juniors, are guaranteed places at Westminster School or St Paul’s.